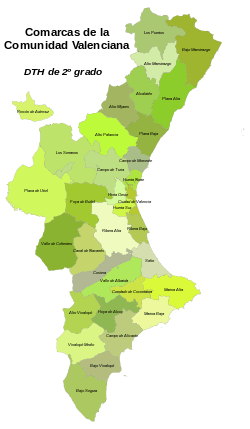 In Spain traditionally and historically, some autonomous communities are also divided into comarcas (Spanish: [koˈmarkas], sing. 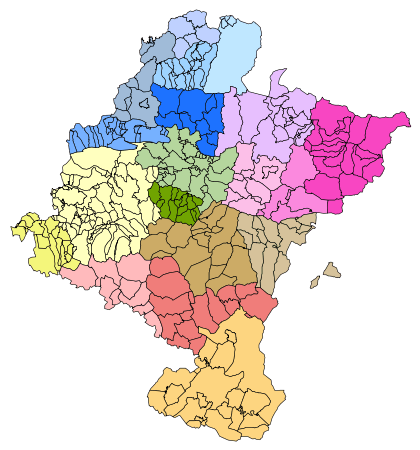 comarca). [note 1] Some comarcas (e.g. 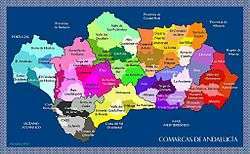 comarques of Catalonia) have a clearly defined status, are regulated by law and even their comarcal councils have some power. In some other cases (e.g. 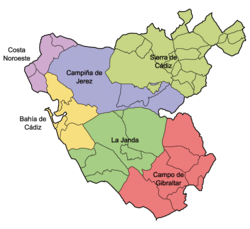 La Carballeda) their legal status is not very formal for they correspond to natural areas, like valleys, river basins and mountainous areas, or even to historical regions overlapping different provinces and ancient kingdoms (e.g. Ilercavonia). 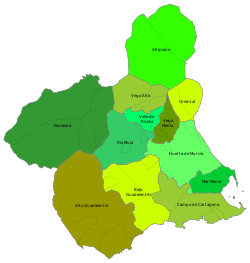 In such comarcas or natural regions municipalities have resorted to organizing themselves in mancomunidad (commonwealth), like the Taula del Sénia, the only legal formula that has allowed those comarcas to manage their public municipal resources meaningfully. 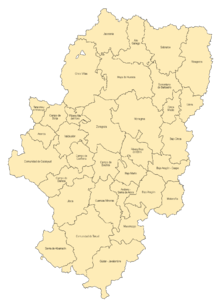 There is even a comarca, the Cerdanya that is divided between two states, the southwestern half being counted as a comarca of Spain, while the northeastern half is part of France. 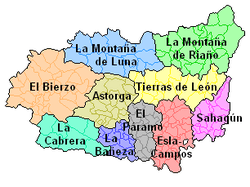 In English, a comarca is equivalent to a district, county, area or zone. 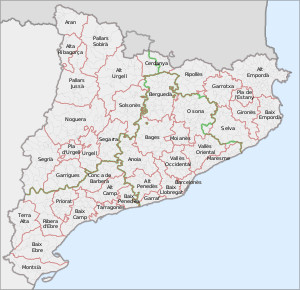 Catalan/Valencian comarques (IPA: [kuˈmarkəs] or [koˈmaɾkes]), sing comarca. 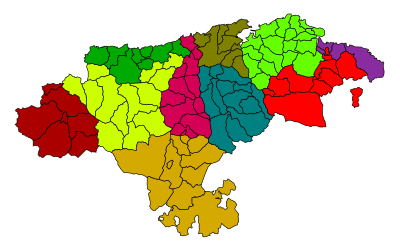 Galician comarcas (IPA: [koˈmaɾkas]), sing. comarca. 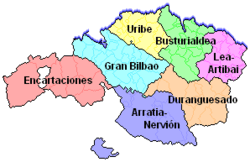 Basque eskualdeak (IPA: [es̺kualdeak], sing. eskualde.